Is it time to redefine your approach to the cloud? 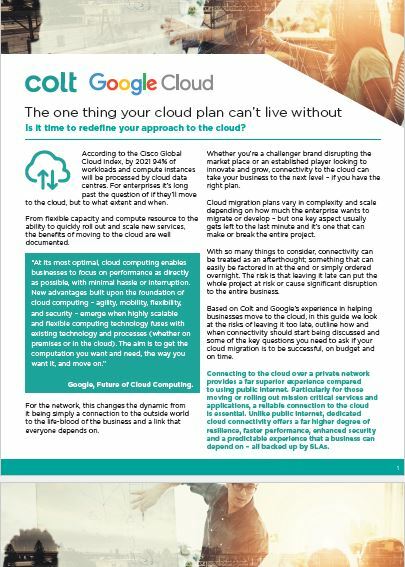 From flexible capacity and compute resource to the ability to quickly roll out and scale new services, the benefits of moving to the cloud are well documented. For the network, this changes the dynamic from it being simply a connection to the outside world to the life-blood of the business and a link that everyone depends on. How to deliver on budget and on time.